The Geography Department has completed work on a new electronics laboratory to promote our development of specially designed environmental sensors. Kevin joined King’s as a teaching fellow in 2016. Kevin’s research interests focus on the emergence of state institutions as technologies of government throughout the eighteenth- and nineteenth-century. I was born in Dublin and have spent most of my life there, so moving to London has been very exciting. As a geography and history nerd it is the perfect place to live, as every corner you turn leads to a new and interesting place to explore. Why did you choose Geography? I started off studying science in university in Dublin and ended up as an historical geographer, so I went through a very unusual route in my studies. I specialised in geography for my BA, and quickly found a job as a GIS officer in the Irish Heritage Office which ignited my fondness for historical geography. I am such an all geography nerd though so I have often been coring peat bogs in the West of Ireland in the same week as leading an urban walk fieldtrip. My current research is on the emergence of state institutions in the nineteenth-century and how they attempted to reshape conduct, social relations and identity to secure governance. I have focused on the creation of national education in Ireland, which was introduced by the British administration in the hope to reshape local social relations, specifically religious tensions. They also attempted to reframe Irish identity towards an imperial norm. I have expanded this to examine how the ideology of using institutions to shape the conduct was applied across the Empire in attempt to reshape colonial populations towards a common identity. Understanding how and why institutions were established and function over time is vital to how we change and shape them today. For example, in Ireland there is intense debate over the nature of state-funded national schools and whether they should hold a religious ethos. This is the exact same debate that was held over 180 years ago! Perhaps more importantly – it is interesting, is that not enough? Tell us about an interesting or surprising finding you’ve come across recently? On a fieldtrip examining periglacial features in south west Ireland we found a local farmer infilling an important relic pingo (ice-blister). These are some of the most important examples of these features in the British Isles (which happen to be my favourite geomorphological feature – yes I am that uncool). While Ireland has good protective legislation around built heritage, it has none regarding natural heritage. So we petitioned the local council who bought the land with the pingo to preserve it. As a result, there is pressure mounting to develop regulations to protect important natural heritage in Ireland. My contribution at the mapping and monitoring party was to look at mobile apps for fieldwork. I’ve posted my slides from the presentation online in pdf and Gslides formats and provide a summary of some of the apps below. I provide plenty of links to the apps I refer to in both my presentation slides and this summary. I focus on android apps but Faith Taylor at King’s focused on Apple apps and used her massive iPad at the party to highlight what she finds useful to have on her real iPad in the field. Also at the party Michele Ferretti gave a quick highlight of using the OpenStreetMap Overpass API to obtain field site data and Tom Smith demonstrated auto-tweeting arduinos for monitoring soil moisture. There was lots of other interesting stuff at the party on twitter, which you can get a taste of from the #rgsfieldtech hashtag on social media. As you can see from the twittersphere it was a great event and we look forward to the next! Considering what the weather/tide conditions will be like when you are in the field is an important part of fieldwork preparations. There are a plethora of apps to help with this. Weather Forecast UK is my personal favourite for UK weather and the paid version includes observation and forecast maps. LunaSolCal Mobile is great for finding out rising and setting of sun and moon, whereas Sun Position can also show the solar and lunar path on an augmented reality camera view for any day of the year at your current location. Mapping is another important aspect of preparation – where will you go in the field? Several apps are useful for both planning where to go, but also tracking where you have been in the field (and add notes, photos, etc as you go). OruxMaps is possibly the best Andoid app for tracking while adding notes, photos, video, audio in a single integrated package. Alternatively use a light-weight tracker (such as GPS logger for Android) and then additional apps for photos (turn on ‘save location’ in settings in your device camera app), notes (e.g. MAP note) and other recording. When in the field you will likely be collecting data. One of the best apps for data collection during UK fieldwork is Fieldtrip GB which is built on Ordnance Survey map data. The app allows you to capture georeferenced notes, photos, tracks, download maps for offline use, save data to your device which can later be snyced to your dropbox account later. One of the nicest features of the app is the ability to create your own custom forms for data collection. The main drawback of the Fieldtrip GB app is that it only works in the UK as uses it uses OS mapping. When venturing beyond the UK, you could try Map It for recording data collected in the field. Map It allows multiple (global) map sources and export formats, map polygons and the like. It also allows you to create custom forms for data collection/recording. If doing human geography data collection, the Collect app is designed specifically for questionnaires or surveys. Again, it allows you to set up custom forms that match the questions you wish to ask – this can be done on a PC before you visit the field and results are automatically synced to a database for later desk analysis. Moving on from managing data in the field, we can also think about apps to actually make measurements with sensors on current mobile devices. There are many possibilities for using mobile devices for surveying. For example, the theodolite app Measure Angle provides functionality to view data lat, long, azimuth, angles, and more in an augmented reality perspective. The precision of these apps are dependent on the hardware on which they are used – don’t necessarily expect professional grade precision, but they are good for the fraction of the price of professional equipment (or even free!). There are several apps out there useful for assessing the geology and soil in your study area. Several of these have been developed by British research groups. For example, iGeology and mySoil are developed by the British Geological Survey (with partners). Other apps enable you can use your smartphone or tablet in the same way you would use a brunton compass. You simply orient the phone or tablet along the planar or linear feature, choose a symbol, and tap. The device’s built-in compass and orientation sensors instantly record the strike, the dip, and dip direction. Finally, when in the field you may need to identify flora and fauna. There are two general types of app for this. First, those that recreate traditional guide books but in digital format (including possibly with sound or video). Be sure to select these apps as appropriate for the region you are visiting. Second, there are apps that attempt to use sound and video detected by your mobile device to identify species. The success of these is variable. Google Goggles is one of the most widely known for identifying the contents of images taken by your device camera (I have used with mixed success). For birds there are apps like Warblr that do something similar to Shazam, attempting to identify birds from recordings of their song. Bird Song Id claims 85% success! Test your apps before you start your fieldwork proper. This is important both so you understand and feel comfortable with how the app works, but also so that you know what it can do and how accurate it is likely to be. You may want to do some benchmarking before you go in the field, for example testing the app against known conditions (e.g. known slope angles). Consider upgrading hardware – a device with additional core processors or memory will be worth it if you will be doing a lot of fieldwork. Also consider buying a storage card to expand built-in device storage and for tablets consider getting a device that can use a SIM to connect to cellular data networks.Some apps may need specialist sensors that expensive smartphones have but others do not. Experiment with alternatives and buy pro versions – they often don’t cost much (relative to professional field equipment) and can offer much better functionality, precision and ease of use. However, beware some apps require in-app purchases and also look out for ‘expert id’ species identification apps in which identification is not automatic (compared to a database) but actually sent to a human to identify. There are two main limitations to this; first, it can take time to receive results (hours to days), and second you will likely have to pay for each id. So this might be good for particularly difficult species but not for general ID. Finally, get creative with your use of apps. Just because an app is branded for one thing does not mean it cannot be used for another purpose. Combine apps together if necessary. And if there’s no app out there to do what you want, maybe consider making our own! It may not be trivial but there are many guides and courses to get you started. And if you’re thinking about undergraduate study, the Geocomputation and Spatial Analysis pathway at King’s will give you some of the skills you need to do this too! Does the Paris Agreement on Climate Change signify a breakthrough in climate governance? As highlighted in a recent report by the UK Economic and Social Research Council, human geography in the UK has been recognised for its conceptual innovation, but its current low levels of quantitative and technical training is of concern. For example, concerned with such low levels of training in quantitative methods, in a recent paper Ron Johnston and colleagues argued that the curricula of current undergraduate programmes in geography are failing to develop graduates that can “appreciate the underlying principles of quantitative analyses and their important role in the formation of an informed citizenry in data-driven, evidence-based policy societies”. These societies are produced as digital technologies become pervasive throughout society and science. Global positioning system (GPS) technologies that allow the precise location of mobile devices on the Earth’s surface have become miniaturised and mainstream (e.g. in smart phones), generating geo-data not before available. Governments and other organisations are now opening up their digital databases on schools, crime, health and other public services for re-use and investigation by others (e.g., UK OpenData). Investigation of these (often) geo-referenced and large digital datasets requires computation to ensure patterns can be identified efficiently and in a reproducible manner. Put together, as Elvin Wyly recently discussed, the multiple aspects of this ‘big data’ digital revolution create new geographies and provide new means to explore and understand geography. Although an older concept, this has led to a resurgence in the idea of Geocomputation. Recognising this issue, and in the context of the importance of the ‘big data’ revolution and the increasingly pervasive influence of computing devices outlined above, we set out to develop the GSA pathway. 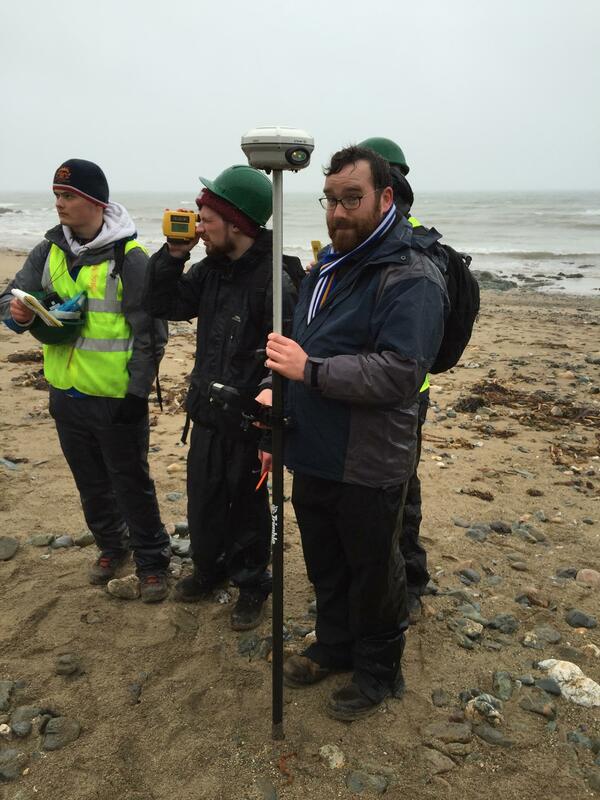 The pathway will enable students to develop the skills needed to undertake independent geographical inquiry using the latest datasets and computational tools, and to understand how they do and can shape the geographical world. Important for developing a curriculum in this context is acknowledging that the aim is not to produce computer programmers with no means of thinking critically about how their tools inform or change the geographical world, but to produce geographers that comprehend how new data and computational tools can be used to understand geography and that have the technical skills to use those tools. Geography as a discipline has often had a critical or radical streak aiming to promote social change or combat oppression (e.g., see Antipode). If our future social and geographical world is to be based in-part on ‘data-driven evidence-based policy’ as Johnstone argues then Geography students at least need the basis of the technical skills and understanding to contribute to driving social change in that data and technology-driven world. A significant challenge for the GSA pathway then is the need for students to learn new skills such they are empowered to be able to employ computational techniques for data analysis. This first module on the pathway, named simply Geocomputation, is foundational in that students will be learning skills and methods that they are unlikely to have encountered previously but which they will need if they are to continue to use understand the possibilities of (and use!) these new forms of data and technology in future. However, it is also important that whilst skills are learned the curriculum is not so narrow as to prevent curiosity about the geographical world or inhibit the geographical imagination. Consequently, we’ll be pushing students to ‘learn by doing’ and take an inquiry-based learning approach – my own experience of learning computational skills shows that these skills are best acquired when using them to work towards answering some particular question. The Urban Africa Risk Knowledge (Urban ARK) programme seeks to open up an applied research and policy agenda for risk management in Urban Africa. With £3.3m in support from DFID-ESRC this three year programme of work highlights urbanization processes that generate human vulnerability and exposure to hazard, as well as examples of capacity building and learning. Field work will be undertaken in sub-Sarahan Africa including Niamey (Niger), Dakar (Senagal), Nairobi and Mombasa (Kenya), Karonga (Malawi) and Ibadan (Nigeria). We focus on those at risk, especially in low-income and often informal or illegal settlements, but also on large scale planed urbanization projects and how these reshape the social and environmental geographies of cities and consequent risk profiles. Disaster risk is our primary focus but we understand that from the perspective of those at risk avoiding – or suffering from – harm risks are multiple and we will contextualise our work on natural hazards alongside work on social and political violence and public health concerns. Research is a collaboration between city level researchers, international teams and practitioners.